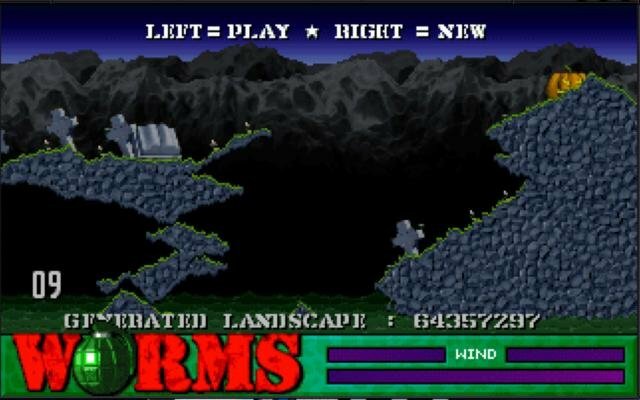 Don’t let the simplistic look of Worms fool you; this isn’t your standard Lemmings-style puzzler or run-and-jump action game. 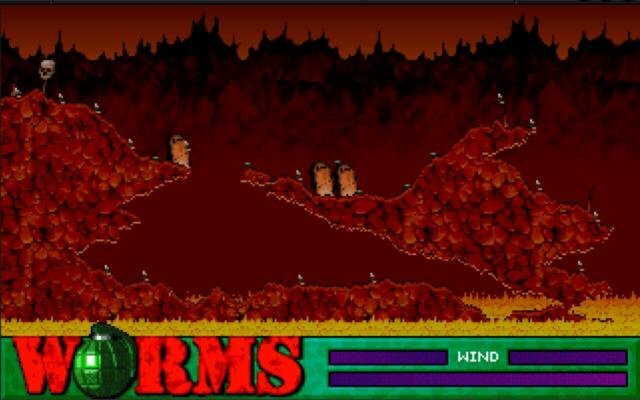 Instead, this humor-filled offering transforms the side-scrolling platform format into a turn-based action-strategy game in which you control a team of well-armed worms (what else?) 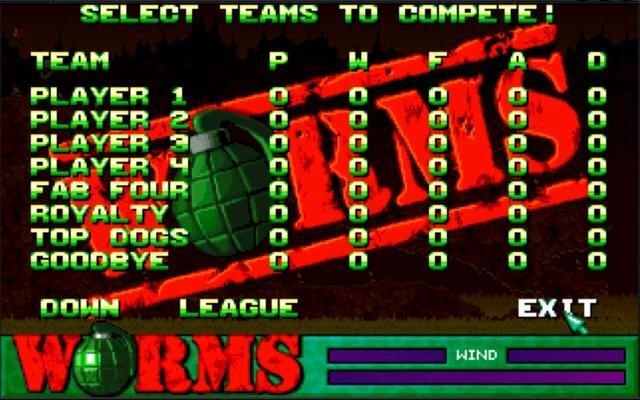 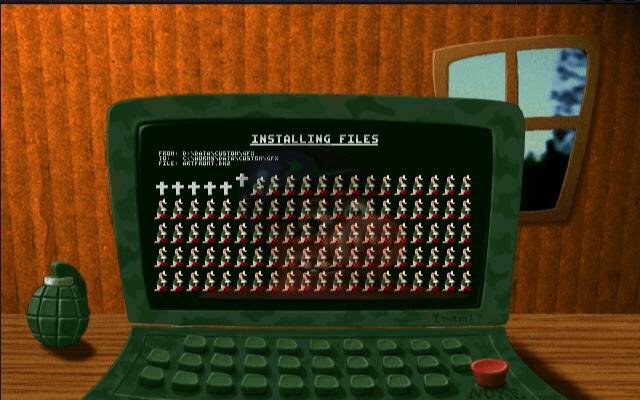 and try to defeat as many as three teams of adversaries controlled by the computer or other gamers. 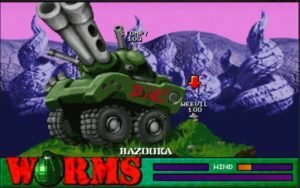 It’s a clever idea that makes the entire Worms series unique. 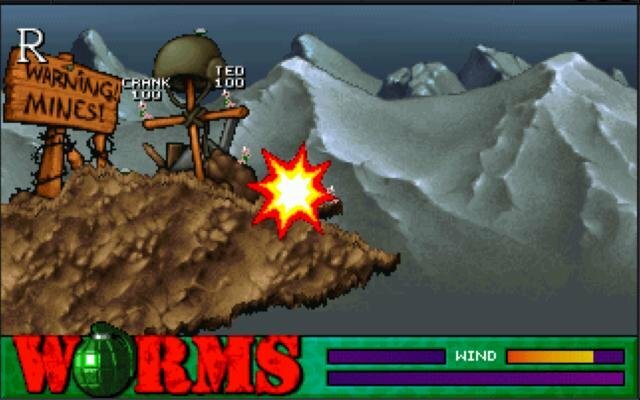 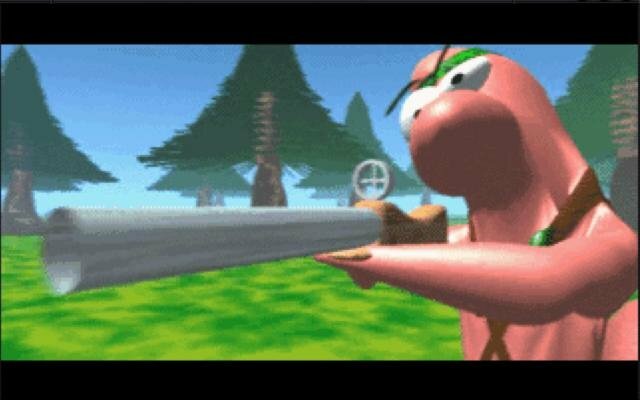 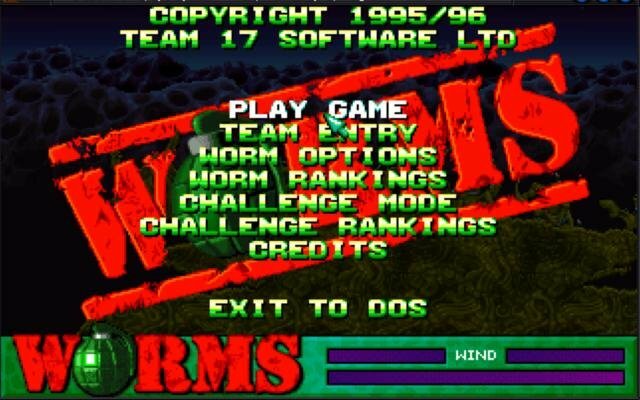 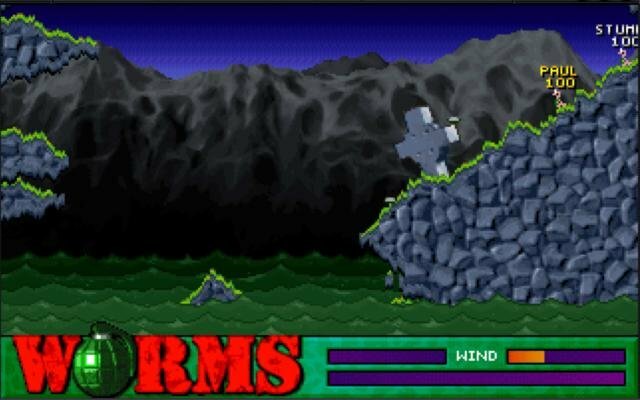 The rules for playing Worms are deceptively simple: During each turn, you move a member of your team as close as possible to your opponent, or into a position where he can do the most damage, then let loose with weapons that range from bazookas and shotguns to air strikes and dynamite. 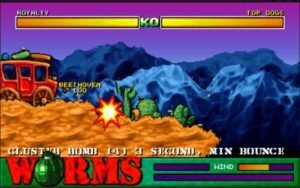 If you’re successful, you’ll be able to take away health points from your opponents before they do the same to you. 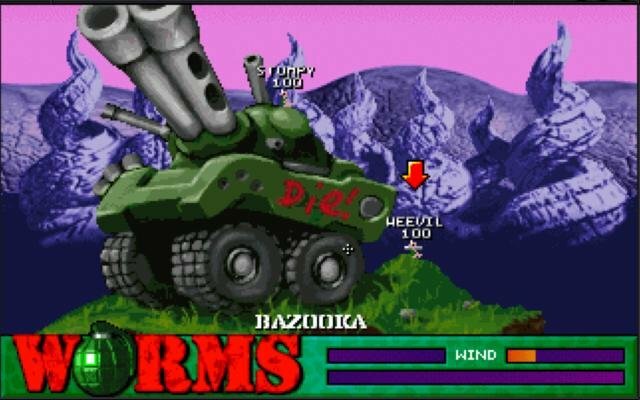 Believe me, it’s much more fun than it may sound. 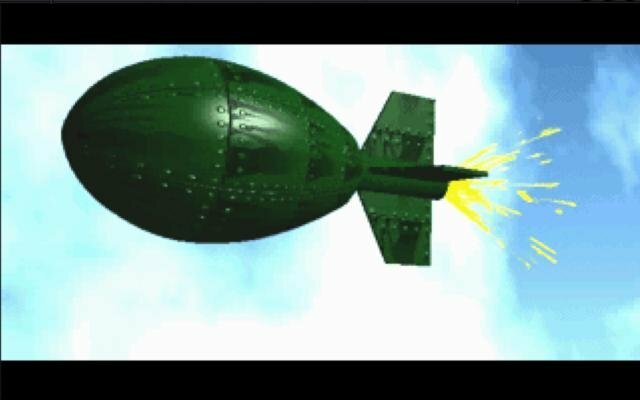 Watching your little characters bomb, blast, and beat each other into oblivion is a great deal of fun, and more often than not, you’ll find yourself laughing out loud at their antics. 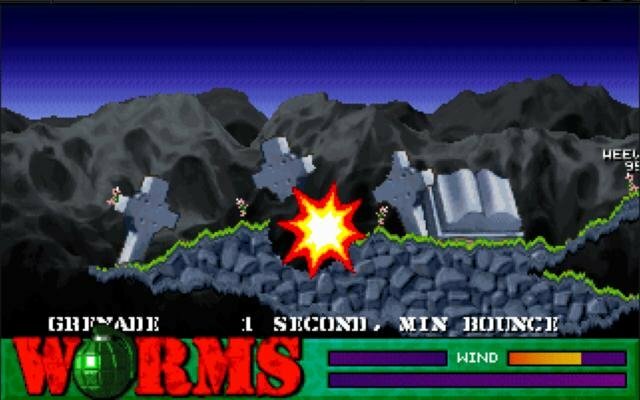 Score a direct hit, and your opponents fly across the screen, bounce down rocky hillsides, or plunge to a fiery death in lakes of lava. 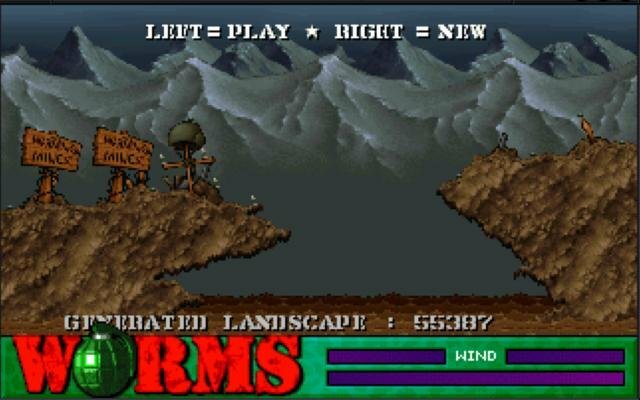 Aside from the humorous elements, Worms has a number of nice touches; cutscenes, randomly generated landscapes for almost limitless replay value, and user customizable options for each team that let you name each unit, assign more health points or weapons options, or configure the game for as many as 16 players on one computer. 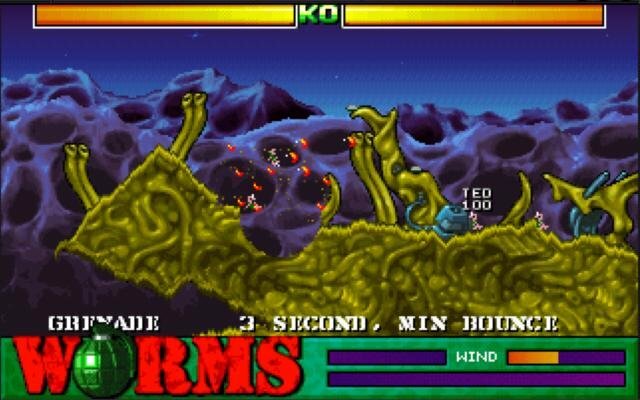 Unfortunately, Worms didn’t support modem or network play at press time; according to Ocean, a patch will be available to add those features. 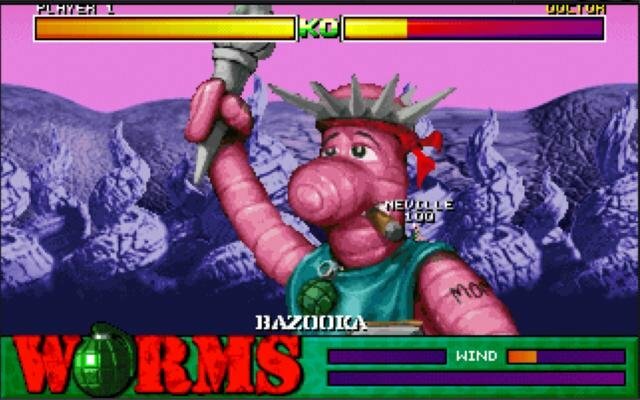 But even with its limited multi-player capabilities, Worms should strike a chord with gamers who’ve been looking for a challenging and inventive alternative to more serious strategy offerings.